Are you and your significant other facing serious issues in your relationship, and are searching for a way to fix the problems you have? If so, online couple counseling may be the help you need to re-strengthen the connection you share. No couple is immune to conflict or growing pains as it progresses, and there will always be rough patches to go through. It's an inevitable part of sharing your life with another independent person. However, sometimes normal conflict can escalate to a much more significant issue, leading to relationship problems that can't be solved by the couple themselves, or even lead to the brink of separation as the two individuals struggle to work through their conflicts. If you're experiencing severe issues in your relationship with your significant other, couple counseling can help solve conflicts and restore your relationship to a healthier state. Generally speaking, when most people envision couple counseling, they probably think of in-person therapy sessions in a traditional counseling clinic. And, unfortunately, this can deter some couples from seeking counseling because they're uncomfortable with the idea of having to share such personal details about their issues with a stranger, in such an intimate setting. Today, though, there is another option for couples looking to gain the benefits of counseling without the pressure of traditional in-person sessions: online couple counseling. Through websites like BetterHelp, couples can securely and privately search for a therapist to connect with in the comfort of their own home. Searching for a therapist through an online platform feels less personal and less stressful, because there isn't as much direct contact, which provides even the most private couples a way to find the help they need. Plus, these sites often have testimonials from other users, and detailed information about their therapists to help couples make informed decisions about the therapist they'd work best with. 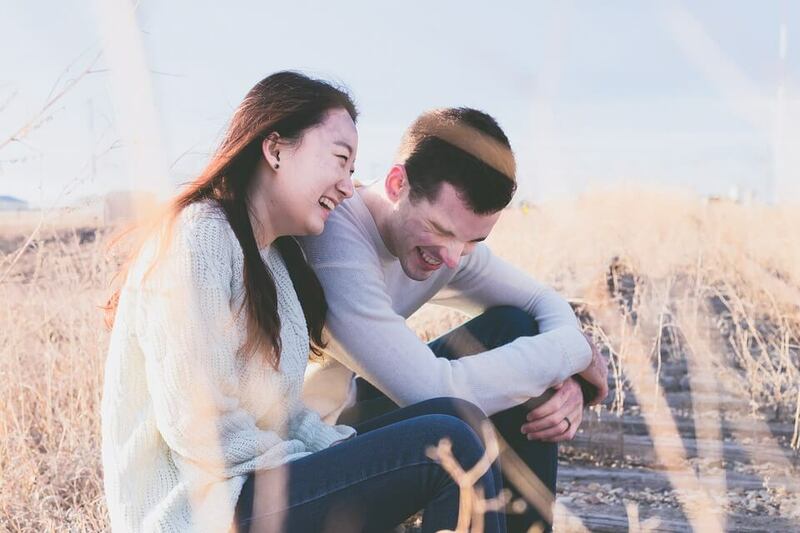 Couples will partake in their therapy sessions in a place of their choosing (most often their home), and the familiar surroundings can further enhance the therapy sessions by ensuring both individuals feel comfortable and willing to open up. Improved communication and new techniques for handling conflict in a constructive way. Re-engagement in the relationship and a reminder of what attracted you to each other in the first place. A new foundation for your relationship to stand on going forward based on mutual respect. A safe place to discuss issues that you may have been avoiding. An outside and unbiased perspective that can help you better understand the feelings and emotions of your significant other. An understanding of each other's strengths and weaknesses, and how you can use them to keep your relationship strong and happy. 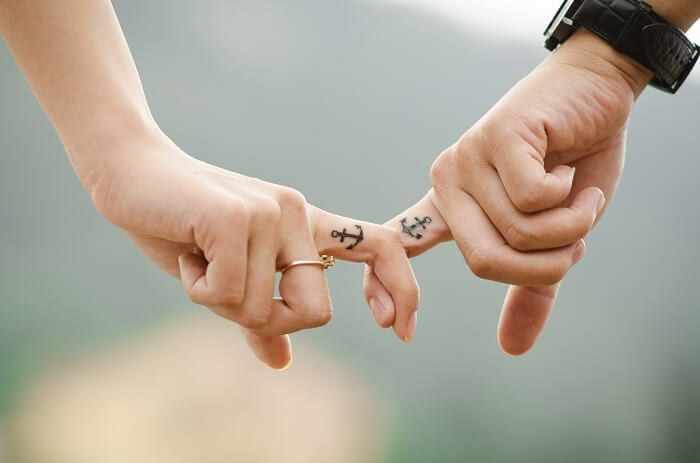 No couple's relationship is perfect, but that doesn't mean you need to settle for a one fraught with conflict or separate from your significant other, rather than work through your problems. Instead, seeking the help of an online couple therapist could provide you with the help you need to constructively work through your issues. All too often, when couples decide to go into relationship counseling, they end up with a counselor that favors one of them over the other. Even if the counselor is fair, their personality might mesh better with one partner or the other. One person ends up feeling picked on and misunderstood, while the other feels their partner isn't giving therapy a chance. The wonderful thing about online couples counseling is that you and your significant other can try a counselor and easily switch to a different one if one of you is unhappy with them. Healthy communication is a cornerstone of a good relationship. This is true of any type of friendship or family relationship, and it is especially true of a romantic relationship. Early in life, you may have learned to be aggressive or passive-aggressive when you had conflicts. Your counselor can teach you how to communicate assertively and lovingly. Caring for someone is not enough to make a relationship work, after all. You need to be able to show your respect and love through positive words and behaviors even in the midst of conflict. An online counselor can explain healthy communications, guide you in understanding how you communicate at the start of therapy, provide positive examples, help you role-play effective communications, and encourage you to continue using it after therapy. Many couple's counselors require that each of you has an individual counselor while you're in couples counseling. The reason is that the two of you will likely bring up issues that one of you needs to deal with privately. While the couple's counselor must remain impartial, an individual counselor is there only for you - to understand you, guide you, and put your mental health first. With online counseling, it's easy and inexpensive for each of you to have your own counselor during this important time in your lives. If you would like your individual counselor and your couple's counselor to share information about your sessions, they can. However, if you would rather keep your individual counseling private, you can do that, too. Making the decision to go into couple's counseling is a big step. It can make you feel vulnerable if others know you're having problems in your relationship. You might wonder, "What will happen if her ex-boyfriend knows we aren't getting along? Will he try to win her back?" Or, you might be concerned that your co-workers will discuss your relationship behind your back. With online counseling, no one ever needs to know the two of you are seeking help. You can do it in the privacy of your own home or even on vacation while you're far away from nosy friends and acquaintances. Then, when your relationship is once again secure, you can face the world, knowing that your problems remain private. Internet counseling costs about as little as the co-pay for counseling paid for by an insurance company. This is a great advantage, especially if your insurance doesn't cover couples counseling or only covers a limited number of sessions. You and your partner can get together with your counselor in a video chat or on a conference call at a specified time that's convenient for you. However, all your communication doesn't have to take place in that one session. You can also leave messages in your private chat room. Your therapist will answer them as soon as possible. In the meantime, you have complete freedom to explain your position, ask questions, or bring up issues to discuss during sessions. You can capture the essence of the relationship in real time, whenever suits you best. Before you invest in online counseling, check out the counselors on the platform you're using to ensure they have real qualifications to help you. While some platforms are simply a hoax, you can find trustworthy sites to get therapy from. On these sites, you can work with a counselor that has bona fide credentials in the field of psychology and therapy. Many of the therapists on these reputable platforms have practices in their local areas in addition to conducting online couple's sessions. When you work with a counselor online, you have the opportunity to arrange the setting for the sessions however you like. Most counselor's offices are decorated in some way. However, you might feel more comfortable in a space that's set up differently. Maybe you'd like lots of cushions to hold or lean on. Perhaps you want to sit in the chair where you feel most comfortable. You might like your favorite artwork on the walls, or you might rather be surrounded by mementos of the happy times in your relationship. You might even like to have a session outside on your patio or in a secluded park. Whatever makes you feel the most connection to your partner may be the most productive environment for you. Whatever it is, you can arrange it. Are you ready to get started rebuilding your relationship? You don't have to wait. You can start very quickly. Right now, you can view profiles of couple's counselors and choose one to try. After you discuss the options with your significant other, you can select your therapist and set up an appointment for a video call or phone call. In addition, you can leave messages whenever you like. Maybe you need to wait until your partner agrees to start. That's okay, too. The service will still available when you both are ready. Whenever you like, wherever you like, you can take the step to a better couple relationship. Do it online for a low-cost, personally rewarding, professional relationship booster. As you begin to find healing within your relationship, you'll understand the benefits of online couple's therapy even more.